This property offers partial subsidy through the Seattle Housing Authority project-based Section 8 program for 1 out of 10 units only. With this subsidy you will only pay 30% of your income for rent If subsidy is not available, you will pay the rent between the lowest and highest rents listed below. The rent ranges are based on availability of the units and your annual income level, but the units are not subsidized. We can accept a Section 8 voucher in our non-subsidized units. Please call for details and eligibility. Charming community located near Westwood Village and South Seattle Community College. 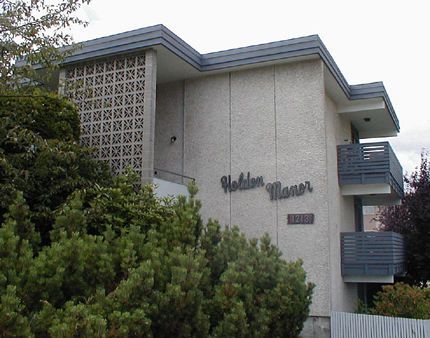 This property offers affordable units at 30%, 50% and 65% King County median income. It has parking and laundry facilities on site. Office Hours: Mon-Thurs from 9am - 2pm. Fri and evenings by appt. HUD 30%, 50% and 60% income limits for subsidized units. Rents listed above are the non-subsidized rents. This property offers partial subsidy through the Seattle Housing Authority project-based Section 8 program for 1 out of 10 units only. With this subsidy you will only pay 30% of your income for rent If subsidy is not available, you will pay the rent between the lowest and highest rents listed. The rent ranges are based on availability of the units and your annual income level, but the units are not subsidized. We can accept a Section 8 voucher in our non-subsidized units. Please call for details and eligibility.